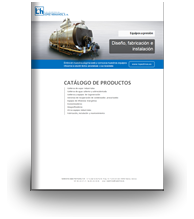 Recovery Water-tube Hot Water CAG - López Hermanos, S.A. 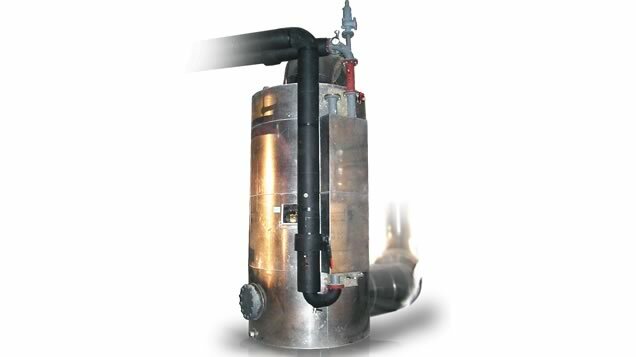 The recovery water-tube hot water CAG model: a water tube boiler featuring tubes arranged in flat spiral coils to generate hot water. All the tube coils are connected at the intake-outlet headers. 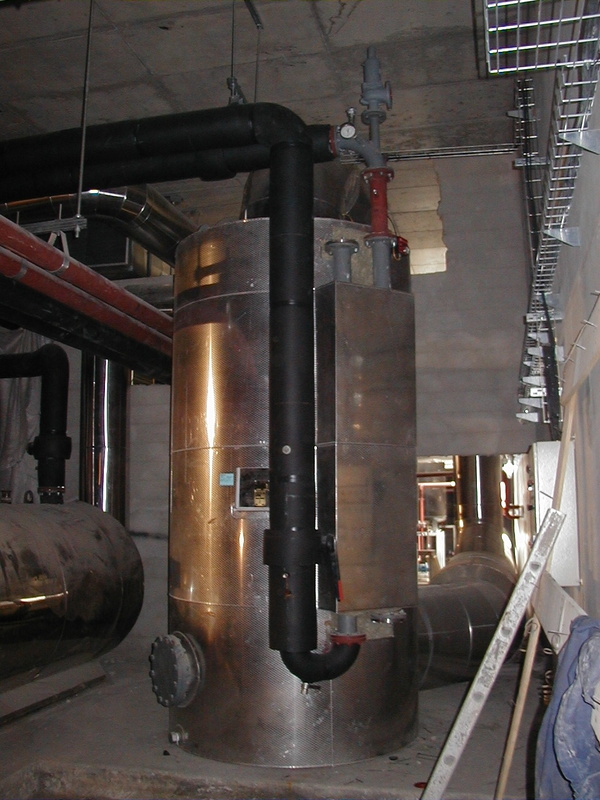 This type of boiler is ideal when little space is available for the equipment. The Recovery Water-tube Hot Water CAG model: is a water-tube hot water boiler with a spiral coil type of tubes layout in vertical arrangement. All the tube coils are connected at the intake-outlet headers. These collector headers are placed at the surface, outside the fumes circulation area.